Here's an excellent product you can use to help your plants grow and thrive better. The Black Magic Potting soil contains a supernatural blend of components. These will help strengthen the roots of your plants. Using this potting soil will also help your plants grow big buds! Expert growers came together to develop this special potting mix. It contains the finest ingredients. It will provide your plants with superior drainage as well as water retention. When you use this for planting, you're ensured strong roots and excellent results. Don't get fooled by the name, from Black Magic would come greatness! When it comes to planting, there's a lot you need to know. From the types of plants you want to grow in all the right conditions, it's a big task. When you're planting, you need to make sure that there are enough nutrients in the soil. This will help your plants grow, thrive, and yield fruits or flowers.This is where Black Magic ​implant Soil comes in. You can use this product to make the soil richer. In doing this, you're sure that your plants won't wither and die after all your efforts. Potting soils is a great innovation that a lot of plant growers appreciate. 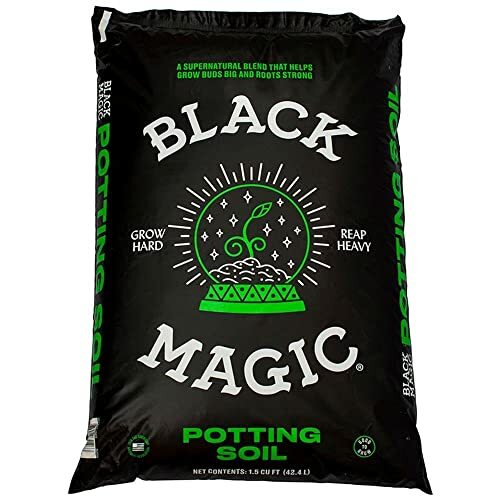 What are the advantages of using Black Magic Potting Soil for growing plants? If you're planning to grow some plants, then you can start by purchasing Black Magic ​Soil. You can use this soil enhancer whether you plan to plant indoors or outdoors. It will provide your plants with a supernatural foundation. In fact, you won't need to add any supplements or fertilizer to your soil for up to a month! The Black Magic ​implant Soil contains high-grade ingredients. Without enough nutrients, your plants won't grow and thrive. Fortunately, this potting mix contains all the nutrients your plants need. It contains beneficial ingredients such as bat guano, aged bark, and coco coir. It also contains volcanic ash, perlite, sphagnum peat moss, and worm castings. All these ingredients ensure that the potting soil will provide optimal nutrition. This high-quality potting soil is fluffy, light, and doesn't compact easily. Therefore, it allows for aeration. This means that the roots of the plant will have access to oxygen and air for the plant to develop well. Yes, aeration is essential. But this potting soil balances that benefit with excellent water retention too. The soil drains well to prevent any rot or mold. But it does retain some of the moisture to keep the plant roots well-hydrated. Finally, the Black Magic Soils is a brand which also has a great consistency. In this soil, your plants won't have any difficulties anchoring their roots. The potting soil provides excellent stability for the whole root system of the plant. This means that it won't fall over or get torn out by the elements. How do you use Black Magic Potting Soil? Before you start planting, you need to prepare your garden soil. This is essential so that your plants can grow and thrive as time goes by. Although soil is already healthy, it usually isn't enough. This is especially true if you're planning to grow things in containers rather than in the ground. When planting in containers, it's not a good idea to use only garden soil. This applies no matter how great the soil looks or how well the plants in your garden grow. Therefore, the first thing to do is to mix your garden soil with the potting soil. Do this before placing it in the container. Before you use the potting soil though, you need to slightly moisten it before you start planting. To do this, fill a container with the potting soil, add some water, and lightly fluff it to make it damp. After moistening the soil, you can start filling it into your container. But make sure not to fill the container up to the top. Leave about an inch between the soil and the container's rim. This will make it easier for when you start watering your plants. Finally, you can start planting. With the Black Magic Potting Soil, you won't have to add fertilizer to your plants for up to a month. However, this may vary from one product to another. So, if you're using another type of potting soil, make sure to read the instructions carefully. 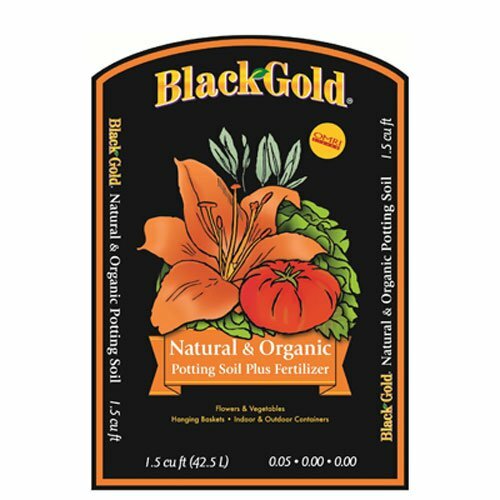 This first product on our list contains a premium blend of bat guano, crab meal, earthworm castings, and sea-going fish. The light and aerated texture come from the composted ingredients. These include sandy loam, sphagnum peat moss, and forest humus. Start with this product, and you'll surely watch your plants grow and thrive. 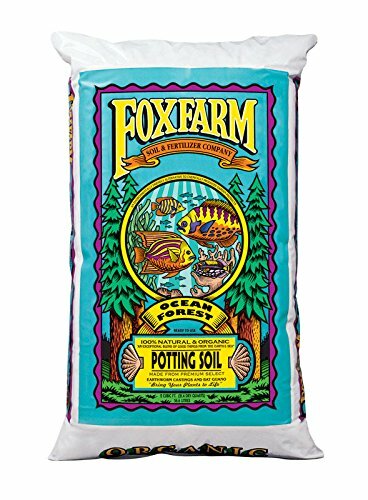 The Fox Farm Ocean Forest Potting Soil is pH-adjusted to allow for superior uptake of fertilizer. It's easy to use, and it's perfect for potted plants. This product will promote the healthy growth of your plants. It will also encourage the growth of strong and sturdy branches. Well-aerated potting soil with a light texture. The potting soil is ready to use, all you need to do is take it out. Available in a set of 1, 3 or 4 bags. Here's another potting soil for you to consider. It's a rich and loamy mix which you can use for various gardening applications. This product will provide your indoor or outdoor plants with a healthy soil for them to grow. It has a completely organic base. It consists of Canadian sphagnum peat moss and earthworm castings. Checkout Our Best Organic Soil Mix Round-up For Your Garden. 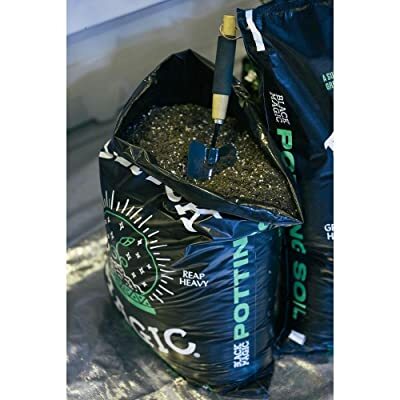 The Black Gold Natural and All Organic Potting Soil also contains pumice and perlite. These help ensure superior aeration to promote the strong growth of plants. The potting soil is ideal for all types of herbs, vegetables, and flowers grown in containers. Finally, the all-purpose product also contains forest humus and compost. Suitable for all types of container-grown herbs, vegetables, and flowers. Enriched potting soil which contains organic fertilizer. Also, contains forest humus and compost. Finally, we have this potting soil as the last alternative to the Black Magic product. You can use this product when growing plants in containers or the ground. It contains plant food and compressed coir which expands when you add water. It's so nutrient-dense that it can feed your plants for up to 6 whole months! 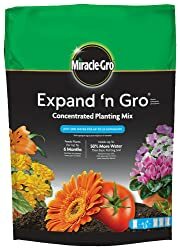 The Miracle-Gro Expand 'N Gro Potting Soil can hold a lot more water than other brands of potting soil. It also creates more air to allow better growth and development of the plant roots. All these features make it an excellent substitute for potting mix or garden soil. Able to hold a lot more water than other potting soil products. Expands when you add water to create more air space in the native soil. You can use this when planting in the ground or containers. The Black Magic Potting Soil is an excellent product because it's blended by experts. It contains high-quality ingredients which makes it the best base for your soil. It's an all-purpose soil which can also serve as the fertilizer for your plants. It has a supernatural formulation. It helps buds grow and promotes the strength of the roots as well. This product is ideal for outdoor and indoor gardening making it very versatile. It has a great consistency. It also contains all the nutrients that your plants need to grow and thrive. The potting soil also provides a great balance of aeration and moisture retention. All these features make the Black Magic Potting Soil the best product for you to use with your growing plants.